In November 2007, the first iPhone was launched in Europe. Since that time, smartphones have seen staggering success in all regions of the world. In the United Kingdom, it’s estimated that 60% of mobile device users own a smartphone. With such a significant portion of the market share, this is clear evidence of the impact that smartphones have had on our lives. Although there have been extensive benefits from the introduction of the smartphone, users have observed their contract costs slowly increasing. The National Debtline conducted a study that discovered that since the iPhone’s initial launch, there has been a 261% increase in the number of calls received regarding mobile phone debts. 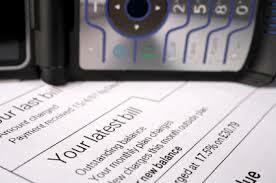 In 2012 alone there was a 15% increase in the number of debt calls to the hotline. From January to August of 2013, the hotline received slightly less than 13,500 callers for debt advice. Additionally, in 2006, 3.9% of the calls were mobile phone related whereas in 2013, that number swelled to 11%. A family of four consisting of two parents and two teenagers could be paying close to £140 per month if all have smartphones – more than the average energy bill in the UK. The rising costs are said to offset the ever-increasing costs of providing web access and mobile video to smartphones. Faster networks, equipment upgrades and additional improvements all contribute to the increase in cost. Unfortunately these costs are being passed along to the customer. To make matters worse, many customers are overpaying on plans which they don’t make full use of or underpaying and being charged for exceeding the caps. Not surprisingly, many of those who are paying more than needed for a contract were formerly those who continually went over their cap. Prior to signing into a one-year or two-year contract, it’s critical to determine the number of minutes, texts and data that you’ll use each month. This will help you to decide exactly what you need each month. Since there are a multitude of mobile phone contracts on the market to suit all needs and budgets, there should be no excuse for exceeding monthly allowances. After calculating the amount needed, find the right network that can accommodate those needs while providing a competitive price. It’s important for customers to remember that smartphone contracts are essentially loans for their handset devices. While the price of smartphones can be significant, when entered into a contract, consumers typically receive a deal with a monthly fee requirement that includes expenses. Those who are unable to maintain those expenses can fall into serious financial debt, especially if the phone needs to be replaced and they don’t have insurance. Like any other loan, customers should only enter into contacts which they can afford on a monthly basis. James Grant has been mad about tech for as long as he can remember, and finally found a productive outlet for it as a blogger for Gadget Cover. His encyclopedic knowledge of phones of every type has left him the resident smartphone expert.